I was first introduced to mopeds when one of my close friends in college received an old Batavus HS50 from his grandfather. I fell in love the first time he let me ride it and I knew that someday, I would have to have one of my own. Over the next two years I spent much of my spare time and money developing and fueling a passion for these simplistic yet wonderful machines and learned a lot along the way. Our first is always the most unforgettable, isn't it? 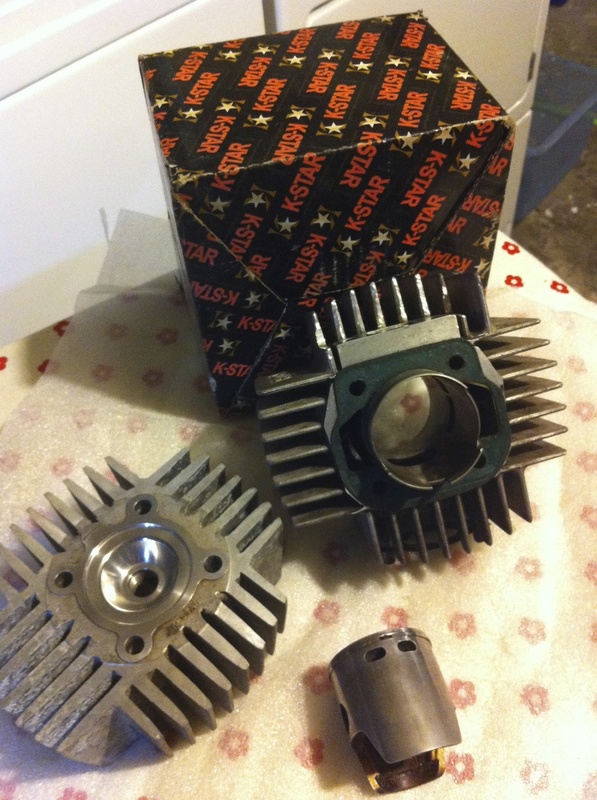 I found the original post on craigslist.org and while I admittedly had no idea what I was doing, I got my friend to weigh in on the decision and assure me that Puch was a reliable brand (back in the day that is) and was a good moped to start a project with. The seller delivered the bike all the way from Cape Cod to Boston, and even though it had some problems, I bought it on the spot for $400. I spent a few weeks figuring out my way around the little machine and managed to get it running (albeit quite poorly) after some cleaning and tinkering. 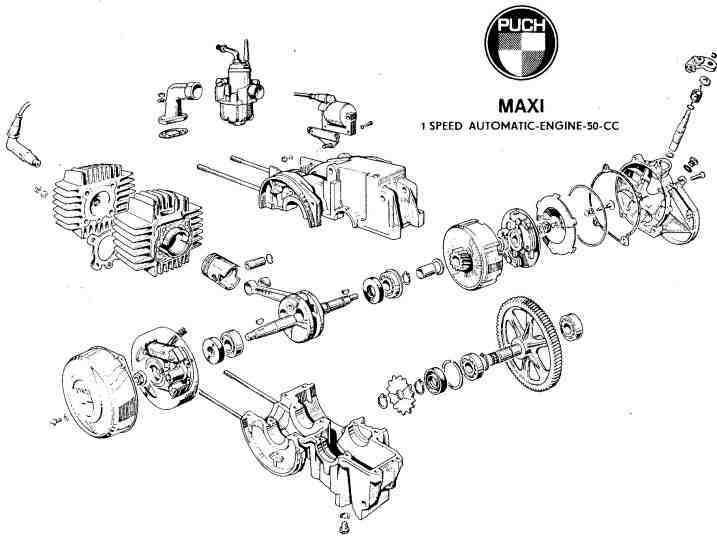 I found a digital copy of the original manual, joined an online moped forum, and taught myself as much as I could about how two-stoke combustion engines work, and the science behind carburation, gas/air ratio, combustion, exhaust flow, gear ratio, and power creation via magneto. I knew that I wanted to completely redesign and rebuild the bike so I drew out a sketch and began the teardown. Everything came apart, including the motor, and everything was cleaned, stripped, and prepped for paint. Without the available funds to get my frame and parts sandblasted and powder coated, I found a special paint called Interlux Brightside which is a polyurethane specifically designed for painting boats. It is, most importantly, gas and oil resistant. For the build itself, I had to track down some parts locally and online, and for those parts that I just couldn't find, I was able to use to facilities and tools at the MIT Electrical Research Society (Miters) in Cambridge. Below are some of the pictures of the project in action. Through the not-so-metaphorical blood, sweat, and tears, my rebuild became a realization and was soon followed by several others. One of the most enjoyable parts of all this for me was working with bikes and engines from different makers (Puch (Austria), Motomarina (Italy), Motobecane (France), Honda (Japan)) and admiring or cursing their designs. While some were more fun to work on than others, each new project brought it's own challenges and helped cement a passion that I am sure will last a life time. Finally, here is a good explanation of the love and dedication I feel for this craft, as told by a fellow mopedder. This mini-documentary follows one man's experience in the world of mopeds, and beautifully depicts the bond between man and machine. LB Sidenotes: Roberto Blanco, Mopeder from Leo Burnett Worldwide on Vimeo.